Home > Brands > Ergotron, Inc.
Ergotron has been improving the human interface with digital displays for 35 years, designing and manufacturing high-quality products at an exceptional value. This history of innovation and passion for differentiation is evidenced in over 192 patents and a growing portfolio of beautifully designed mounting and mobility products for computer monitors, notebooks, tablets, flat panel displays and TVs that are as easy to use as they are to mount. 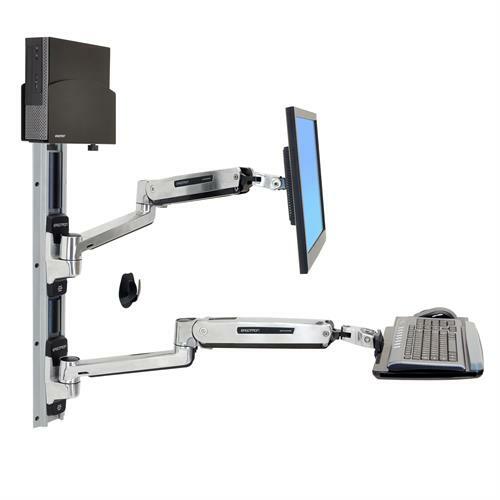 Ergotron’s mounting solutions include desk mounts, wall mounts, sit-stand workstations, office and tech furniture, device charging stations and mobile carts. With a human-centered design, each Ergotron product adapts technology to the varying physical needs of individuals, creating an environment that promotes ergonomic comfort and wellness while improving productivity and efficiency. 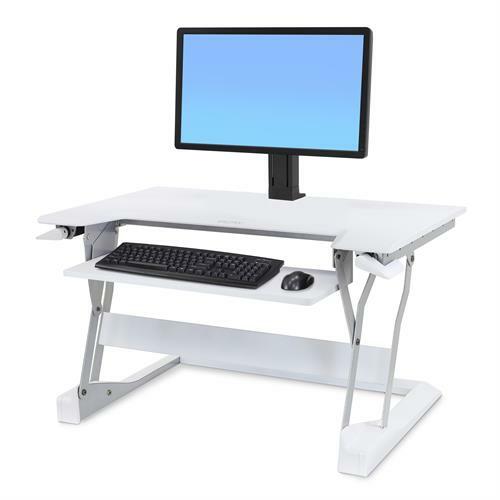 Ergotron’s products, with patented Constant Force™ lift-and-pivot motion technology, require less user effort to achieve more ergonomic motion. This translates to a healthier and more interactive experience when you are viewing any digital display. New applications for technology continue to appear in everyday use, regardless of industry - Healthcare. Education, Office or Government. 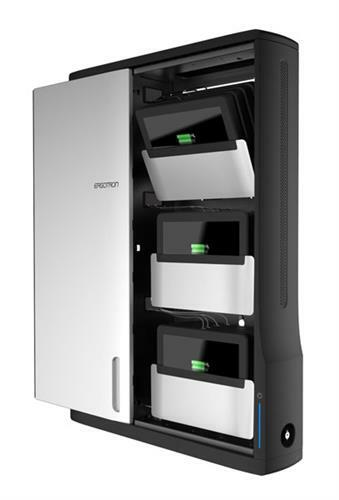 Ergotron continues to prove itself an innovation leader in emerging technologies with its broad line of sit-stand workstations, device charging stations and carts. 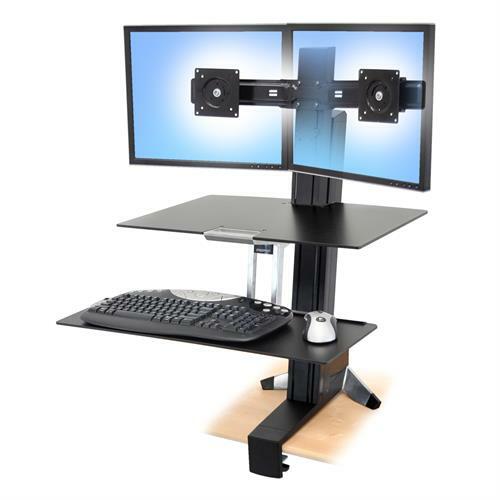 Ergotron products can enhance computing wellness or entertainment excitement, improve workplace productivity or create business process efficiencies. Their research efforts and comfortable computing initiatives to educate the market show a commitment to promoting healthier, more productive environments for life and work. Ergotron’s products are positioning your digital world. Visit www.ergotron.com to learn more. 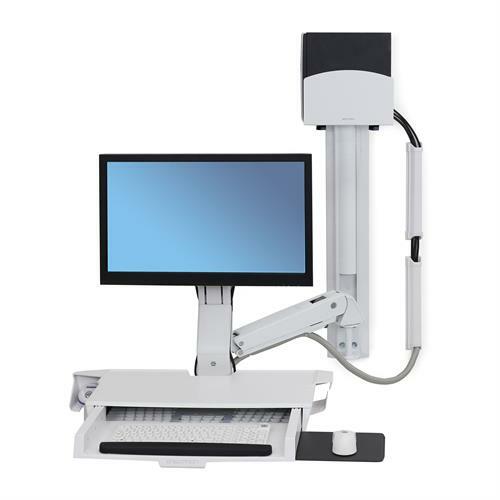 Ergonomic Solutions has represented Ergotron for over 25 years. Our understanding and knowledge of the Ergotron products is unmatched. Please contact us and let our expertise help assist you with determining the correct product solution that best meets your requirements. 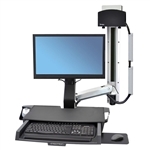 Ergotron StyleView Sit-Stand Combo System with Worksurface provides easy re-positioning of your entire workstation—move your display, keyboard, mouse and barcode scanner in a single motion. The WorkFit-TL features a larger keyboard tray and wider worksurface. 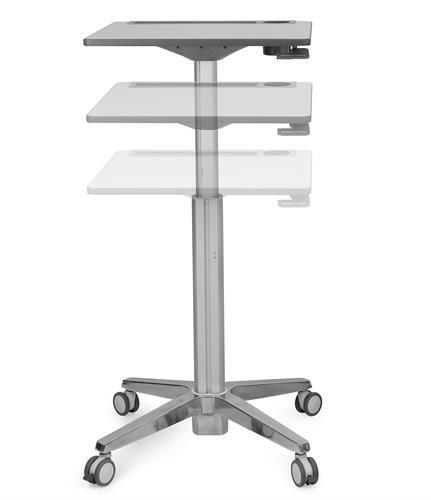 The Ergotron CareFit Slim Laptop Cart provides broadest range of caregivers can work comfortably with the expansive height range that adjusts to the ergonomic needs of each user.